The Pampeano Escocia 1.5" Polo Belt is an exquisite, hand crafted polo belt made with the finest vegetable tanned leather and branded with the Pampeano logo. Men - We recommend you order one size up from your normal trouser waist size. See size guide for examples. Ladies - We recommend you order your normal trouser size. See size guide for examples. The Pampeano Escocia 1.5" Polo Belt is an exquisite, hand crafted polo belt made with the finest vegetable tanned leather and branded with the Pampeano logo. Complete with a high quality brass buckle this stylish belt would complement any of the jeans, moleskins or trousers in our range. 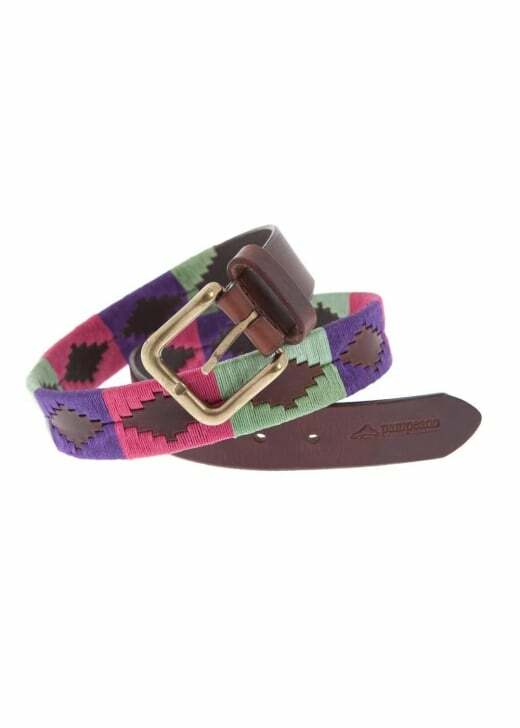 Pampeano's belts are recognised woldwide with each belt being hand woven by skilled artisans in South America, using a traditional process which takes four to five hours to complete. All our polo belts arrive presented in a Pampeano branded gift box, whether it is intended for yourself or as a gift. Measurements are taken from where the leather joins the buckle to the middle hole. The measurement does not include the buckle itself. Showing our 2 Pampeano Escocia 1.5" Polo Belt reviews with an average rating of Excellent. Lovely belt and well packaged. A really lovely belt much appreciated by its recipient. Please note we recommend you order one size up from your normal waist size. Please note we recommend you order your normal trouser size.